To start I would like to make known that this is my first ever blog that I have actually been able to follow through enough to get it going. Life as a homeschool mom of 3 boys 5 and under doesnt always leave loads of time to take part in things like blogging, though Ive wanted to start one up for quite some time. I was struggling to keep all my homeschooling records straight and I figured if I could keep all the information stored somewhere electronically...like in a blog...that it would be a great resource for me to reference quickly when I need it, to reference when I need it for my younger kids as they approach elementary years, as well as when others who may be new to homeschooling come to inquire as to my experience, strategies and where to start. I can have a solid resource to refer them to. It was my experience, when inquiring of my seasoned friends, that there really is no short answer to give to a first time homeschooler. If any of you first timers are anything like me, you wanted to state your needs and have someone drop a box on your table of the ultimate homeschooling curriculum. Unfortunately that is not how it works. What works for one person, won't neccesarily work for another, and its a neverending system of trial and error. For the most part, you need to find something that works for your family. Each student learns differently and the beauty of it all is that you can tailor a curriculum around meeting each childs unique needs. That my friends is what I LOVE about homeschooling. I have so much fun finding a new thing that works and excites an area of learning in my son, especially when I find something that he enjoys and wants to learn from, in an area he may not be overly interested in. I am aware of each childs strengths, and weaknesses and can form a curriculum that works for them, considering these needs. Its so great to have that freedom instead of having them go through school being forced into the same mold as everyone else. I am not knocking public, and private schools, we may even pursue those options in the future. We just feel this is what God has for our family right now in these early training years. I feel that the freedom learn at thier own pace, skill and interest level, that homeschooling offers, gives them more of an opportunity to excersize their areas of gifting, giving them that much more of an advantage to grow and become the person whom God designed them to be. It is also finding what works for YOU as a homeschooler...What kind of budget do you have to work with, do you have alot of time to plan, are you organized, disorganized, creative. Do you want to plan it all yourself or do you want someone to tell you exactly what to do, a line by line, play by play of what to say and do to teach a concept. Its all out there, you just have to look and find what works for you. That was a wake up call for this homeschool mom, I had to realize that no one was going to drop that box of perfect curriculum for our family on my front porch, that I was going to have to saddle up and do the dirty work myself. One thing I can say is that as a homeschool mom, you will spend alot of your free time doing research, research, research. Thats really the best way to grow in knowledge about the subject and find what works best for your family. I am hoping that by posting the sites I have found helpful, it will at least lift some of the burden of finding reliable information. I am certainly not finished posting, I have some other resources to post but I was eager to get my blog on :) By all means if someone has any kind of reccomendations, resources, blogs, or suggestions PLEASE let me know so I can check them out for myself, as well as share them here. Advice and resources for any age are welcome. Most of the information I will personally post will be for Pre-K and elementary age, just because that is the stage of life we are at right now. Just a disclaimer, I am new to this blogging business so bear with me if I am slow to post, reply, or whatever it is I am supposed to do here hehe. I am just so happy to be able to share this journey with other like minded friends. I look forward to growing together as we allow ourselves to be teachable in the area of homeschooling. 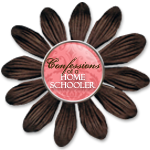 I am really praying this will be a blessing to the homeschool community.